Counterfeit brands have always been around, and affect spirits like any industry, but are today’s brand owners winning the war? In Sir Edwin Landseer’s painting The Highland Whisky Still (c1820), a proud kilted Highlander sits in his bothy staring at a barrel slowly filling with spirit. Never has illicit distillation been depicted in such a romantic light. It was a vision that proved irresistible to Victorians as they succumbed to the new vice of whisky. By November 2017, the illicit booze industry had scaled up somewhat, judging by a police raid on a factory in Elektrougli, just east of Moscow. Officers discovered a sea of counterfeit vodka and Cognac being filled by four bottling lines with a capacity of 50,000 bottles a day. Among items seized were two million fake labels and caps, presumably stockpiled for this summer’s World Cup. There have been some startling statistics coming out of Russia, not least the claim by health minister Veronika Skvortsova that her compatriots are drinking 80% less alcohol than five years ago. That was dismissed by a BBC report in January, which quoted Yevgeny Yakovlev, a Moscow-­based economics professor, as saying: “The amount of illicit alcohol, or consumption that cannot be accounted for, in our country has not changed much in recent years, and makes up less than 10% of overall consumption.” This is despite Euromonitor’s estimate that illicit vodka accounts for 30%­-50% of total alcohol sales in Russia, or the news that in 2013 Russian retailers sold 9.9m more bottles of whisky than were officially imported. Andrew Barber, managing director of the International Federation of Spirits Producers (IFSP) that was set up to combat counterfeiting, says: “I find it hard to deal with macro figures. We tend to work at ground level, with our teams trained to spot fakes as best they can, as consumers don’t have our training or interest, and might be lulled by a decent-­quality counterfeit.” And while the grey market (a distribution channel not intended by the original manufacturer) must complicate matters, he insists his people “can tell the difference between parallel and counterfeit, on the whole”. China doesn’t have a great reputation for respecting intellectual property – according to the Organisation for Economic Co­operation and Development, 84.5% of all fake goods seized in 2013 originated here and in Hong Kong. Yet buying a fake Rolex, often knowingly, given the price, is nothing like buying a dodgy bottle of Chivas Regal that could kill you. 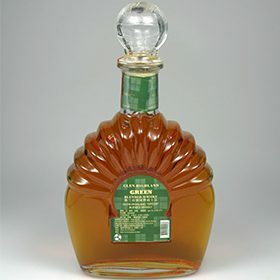 As Mathieu Prot, brand security and anti-counterfeiting director at Pernod Ricard, says: “We’re lucky in that the immense majority of our consumers don’t want to be exposed to fake products.” A typical example, in his view, would be a refilled bottle sold at a slight discount rather than a bargain that’s too good to be true. By contrast, Russia wasn’t considered a real priority in the fight against counterfeits five years ago but has since become a serious concern, according to Prot. “The striking difference is that in Russia you have complete fakes with bottles manufactured there, which is proof that the counterfeiters have industrial capabilities,” he says. On the plus side, he points to encouraging signs that the authorities have recently acknowledged the seriousness of the issue and appear determined to tackle it properly. There is an urgent need to at least stymie the supply of methanol that surfaces everywhere from fake Jack Daniel’s to Boyaryshnik bath lotion – the latter killing 49 people in 2016. 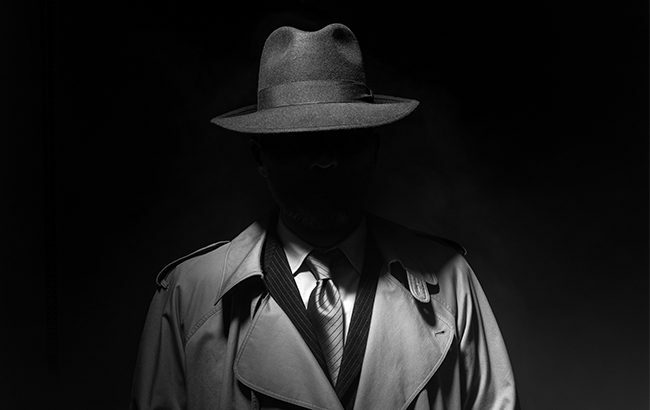 Running in parallel with counterfeit brands is the issue of generic category fraud that preoccupies the legal affairs team at the Scotch Whisky Association (SWA). Among examples drained from the swamp of fake Scotch have been cans of Grant’s Regal Deluxe, whose supply chain stretched from an Austrian factory to Kurdistan and involved an estimated 15 million cans. Glen Highland Green blended whisky was aimed at rather more discerning Chinese consumers, who were informed by the blurb on the gift box that ‘A Whisky is usually taken on the rock or with soda water, ice water and ginger ale’, and that ‘Scottish Whisky will penetrate your blood vessel, all the way to the capillary’. Lindesay Low, the SWA’s senior legal counsel, is “cautiously optimistic” about China, even if “brand counterfeiting is still a significant issue”. On the generic front he points to Scotch whisky’s protected trademark, leading to frequent enforcements over the past 15 years. He says: “I also think the Chinese are becoming more educated, so it has become harder to fool them with made-­up brands.” About Russia, he says: “I think we’re still learning. The Russian legal system is a bit more opaque, but we’re working hard with lawyers to get better legal protection for Scotch.” And as an example of closer co­operation, earlier this year two of his colleagues were invited to an Interpol training session in Kiev. The SWA’s role is mirrored by the Bureau National Interprofessionnel du Cognac (BNIC), which, unfortunately, has no trademark protection in Russia, according to the head of its legal team, Virginie Dessimiroff. “Ninety per cent of our detected frauds are in China, where counterfeiters are becoming more and more organised,” she says. In June, the International Alliance for Responsible Drinking (IARD) published Alcohol in the Shadow Economy, which spells out the scale of the problem from contraband and counterfeit through to ‘surrogate’ alcohol derived from solvents, formaldehyde and even jet fuel. The report focuses on Latin America and Africa, with illicit alcohol said to account for 28% of Brazil’s total, 34% of Mexico’s and a staggering 66% of Mozambique’s, to name only three. It mentions successful initiatives like Diageo’s cut­-price Senator Keg beer, which has given Kenyans a safe, affordable alternative to high­-octane moonshine. The report includes recommendations to tackle serious issues such as refilling, and suggests government incentives to encourage people to return empties and for legitimate businesses to handle collection. That could be bad for India’s bottle wallahs, who ensure that every bottle of Johnnie Walker has at least nine lives, according to legend. The refilling only stops when the label finally disintegrates. For now the industry is putting its faith in smart bottles fitted with a CapSeal, as is the case for Rémy Martin, where consumers can tap the bottle with their smartphones to check if the seal is intact. A similar device using ThinFilm OpenSense tags has been fitted to Johnnie Walker Blue Label bottles since 2015. Last year, Adelphi pioneered a Blockchain QR code for its Ardnamurchan single malt. “The great thing about it is it’s incorruptible. Once information is uploaded it cannot be changed,” says managing director Alex Bruce, who describes it as “a very clever stock system with bonuses”. 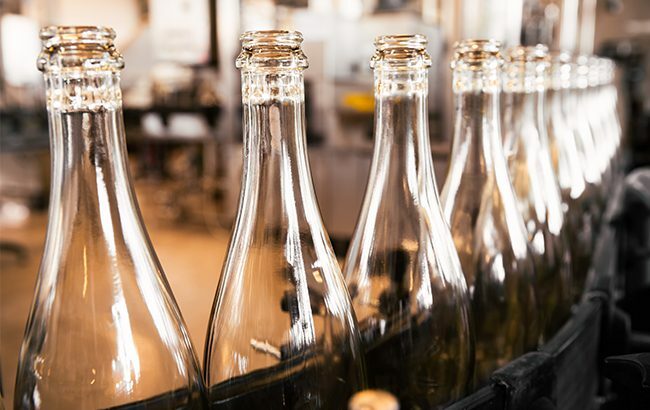 These include complete traceability and information within a 30­-mile radius of where the bottle has been scanned, which provides useful market intelligence and a check on any parallel trading. At a cost of around US¢13 a bottle, which should reduce with economies of scale, Bruce clearly sees it as a bargain.